Chinese investment in Silicon Valley has been almost completely choked off by President Donald Trump's new regulations, according to reports, even as signs suggest that some major US tech firms have been valued too high by the markets. Meanwhile the flow of investment into Latin America continues to build. As all the world now knows, there's trouble in the US tech sector. Analysts have warned for years of a new bubble, and now it appears that the iPhone miracle - huge numbers of people clamouring to pay a massive extra premium for commodity hardware running a fairly ordinary UNIX-like operating system - may finally be running out of steam, with unpleasant consequences for Apple's market cap. The other headlining FANG (Facebook, Amazon, Netflix, Google) stocks have been looking sickly for some time and are on average 25 per cent down on recent peaks. The bubble may not exactly have burst, but it could certainly be said to be leaking a bit. Investors are looking elsewhere. Meanwhile in Silicon Valley, the place where the FANGs of tomorrow could traditionally be expected to appear, President Trump's new push to prevent foreign powers buying access to strategic technologies is underway. 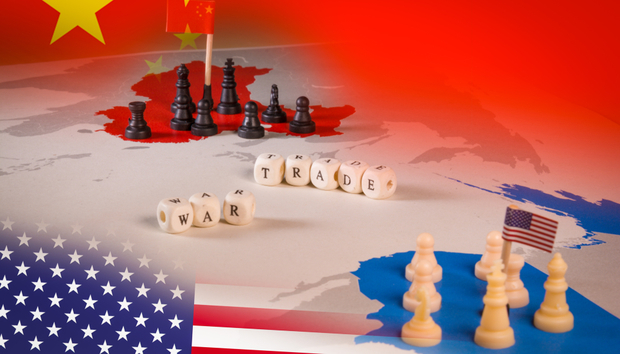 The Committee on Foreign Investment in the United States (CFIUS), the interagency body that reviews foreign investment for national security and competitive risks, will soon have enhanced powers: and it's widely believed to be gunning for China. In 2018, more than $3bn flowed from China into US startups: this year is unlikely to see more than a small fraction of that sum. "Deals involving Chinese companies, Chinese buyers and Chinese investors have virtually stopped," Silicon Valley lawyer Nell O'Donnell told Reuters in early January.